Confidence is almost always accompanied with a big smile, but what if your smile is making you self-conscious? Many people find themselves feeling limited and held back by a cosmetic issue with their smile, whether that means a chipped tooth, a discoloration, or a larger-than-usual gap. Rather than hiding your pearly whites and feeling shy, why not take a leap and look into the possibility of a ceramic crown? 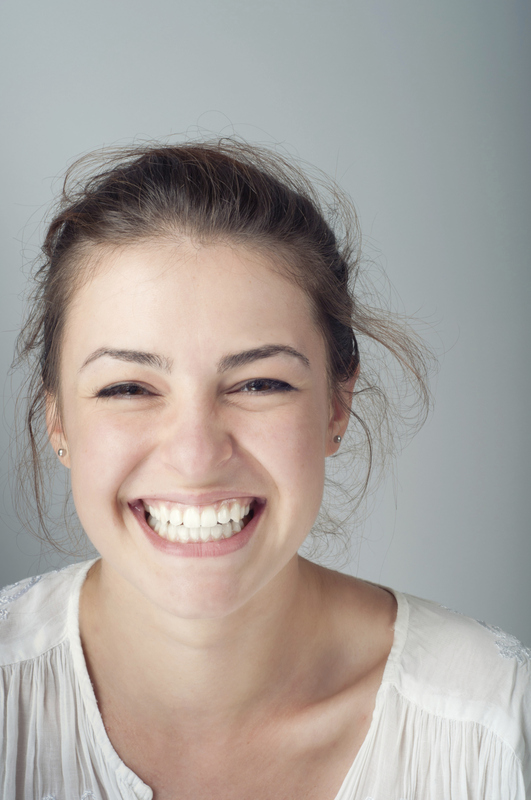 Read on to find out more about what ceramic crowns can do for your smile, your dental health, and your overall confidence level. A ceramic crown is a kind of cap that is fitted over a tooth in order to correct its appearance. Crowns can fix a wide range of dental issues and help create a more even, uniform, bright white smile. Some people find that years of tooth decay and improper dental hygiene lead to the majority of a tooth being worn down or severely yellowed. Ceramic crowns cover this damage, simultaneously giving your teeth a healthy look and improving your mouth’s overall health. Are Ceramic Crowns Just for Damaged Teeth? A tooth does not need to be falling apart in order for a ceramic crown to be necessary. 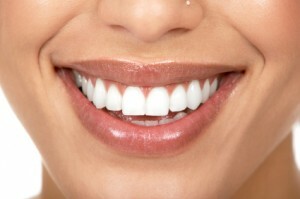 You may have a tooth that simply does not “match” the rest of your smile, which in turn might make you self-conscious. A custom ceramic crown can be created in order to blend the tooth in with the rest of your mouth and give you that natural, flawless smile that you’re looking for. Are Ceramic Crowns the Only Crown Option? Crowns can be made from a variety of materials, including metals such as stainless steel. But the major benefit of a ceramic crown is how seamlessly it blends in with the rest of your smile! The ceramic naturally mimics the look of your teeth and gives you that confident smile you’ve been craving. Get Teeth Whitening for the Holiday Season! Things may be about to be merry and bright, but is your smile white? With the holiday season fast approaching, you will no doubt have many family gatherings to go to and parties to attend. Being around so many people when your teeth are not looking their best can make you self-conscious and unable to truly enjoy yourself, and that’s something that nobody wants! Treat yourself to an early gift this year and consider having a professional teeth whitening done. Read on to find out more! Many of the over-the-counter “whitening” solutions are only moderately effective. They may clear away surface level stains for a while, but they do not truly get to the root of the problem, and they will not whiten your teeth to the highest degree possible. Professional teeth whitening is different. It can reverse the effects of many years’ worth of stains and get your teeth looking bright and white, just like you want them to! When conducted by a professional dentist, teeth whitening can guarantee high quality results that you will be proud to show off to your friends and family at the next big holiday event! There is another benefit that comes with having your teeth professionally whitened. You can have an in-depth discussion with your dentist about ways to maintain white teeth and an overall healthy smile for years to come, as well as talking about what lead the initial dulling of your teeth and how you can prevent that in the future. You won’t get that level of treatment with a store-bought solution! Schedule your teeth whitening now so that by the time the holidays roll around, you’ll have a snow-white smile! Start brushing as soon as you see teeth. Before teeth, clean gums with a damp washcloth. Then, graduate to a soft-bristled toothbrush once teeth have popped through the gums. Visit the dentist. Take your child to the pediatric dentist for the first time by the time he or she turns one year old. The dentist can provide you with more tips for keeping the baby’s mouth healthy. Promote good habits at young age. By brushing your child’s teeth with an infant toothbrush and toothpaste, he or she will gradually learn to brush their teeth on their own. Stay as firm as you can on these habits. Offer stickers or small rewards as incentives. Avoid the bottle at bedtime. Do your best to avoid putting your child to sleep with a bottle of milk, juice, or formula. These liquids can cause buildup of sugars on the teeth. After brushing their teeth or cleaning their mouth, only water should be put in a bottle, if necessary at all. Avoid juice. Although juice is a very popular choice for kids and parents alike, it contains an abundance of added sugar that is not needed. Restrict sugary juices in your child’s diet much as possible. Graduate from the pacifier. Prolonged use of the pacifier can cause misshapen teeth among young children. It affects the bite of the mouth, and you should do your best to get rid of it around the time your child is potty-trained which is usually around age 2 or 3. 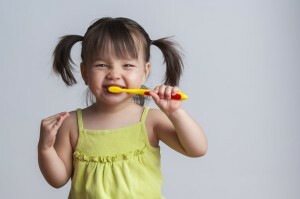 Remember, one of the best ways to ensure your child practices good dental hygiene is by setting a good example! Make your next dental appointment today to show your kids how it’s done. If you have any more questions or concerns about your baby’s, toddler’s, or child’s oral hygiene, feel free to contact the pediatric dentistry professionals at Leikin & Baylin Dental Care of Catonsville, MD. Schedule an appointment for your child, or yourself by calling 410-747-1115 or visiting CatonsvilleDentalCare.com!